I like getting news direct from the source. I like getting news from reading news sites or blogs. I like getting news from social media. I like getting news via email. I like getting news from listening to podcasts or shows. Facebook Newsroom: Facebook put their news into several helpful categories. You might be most interested in Product News, News Feed FYI and Measurement FYI. Instagram Business blog: Instagram tends to share business-related news (such as new business features or new ad options) on their business blog. While they share a mix of announcements, best practices, and case studies, you can opt to read announcements only. Instagram blog: If you are more interested in new user features (such as archiving posts on your profile and organizing your saved posts), you can find such news on the Instagram blog under the “#Instagram News” tag. Twitter blog: Twitter writes about top events, insights from their data, new features and their company on their blog. If you are curious only about changes to the Twitter product itself, check out their product news section. Snap News: Snap Inc. shares mostly product news about Snapchat and Spectacles and occasionally company news on their news page. Oh, How Pinteresting! : Pinterest shares a mix of new features, Pinterest tips, trends on Pinterest, and company news on their blog. There doesn’t seem to be a way to see only their product news. Google+ blog: Google also writes about the improvements and changes they make to Google+ on their Google+ blog, though they seem to have less frequent updates. 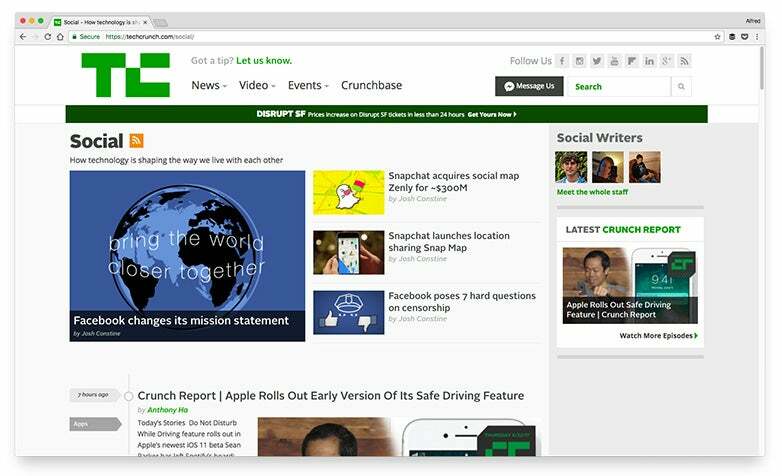 TechCrunch Social: TechCrunch tends to publish breaking news about social products before most other publications and provide a deep analysis in their report. 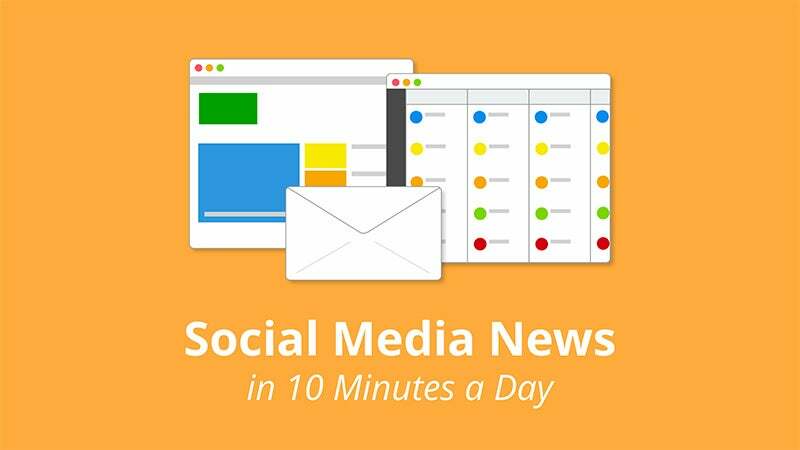 Social Media Examiner News: Every Friday, Grace Duffy of Social Media Examiner rounds up top social media news and provides a short summary of each piece of news. WeRSM: WeRSM covers news on all well-known social media platforms from Facebook to WhatsApp to Tumblr and more. There’s also a breaking news section on the site. The Next Web Social Media: The Next Web publishes a mix of social media news, trends, and interesting stories on social media. Social Media Today: Besides marketing tips, Social Media Today has quite an extensive coverage on social media news. 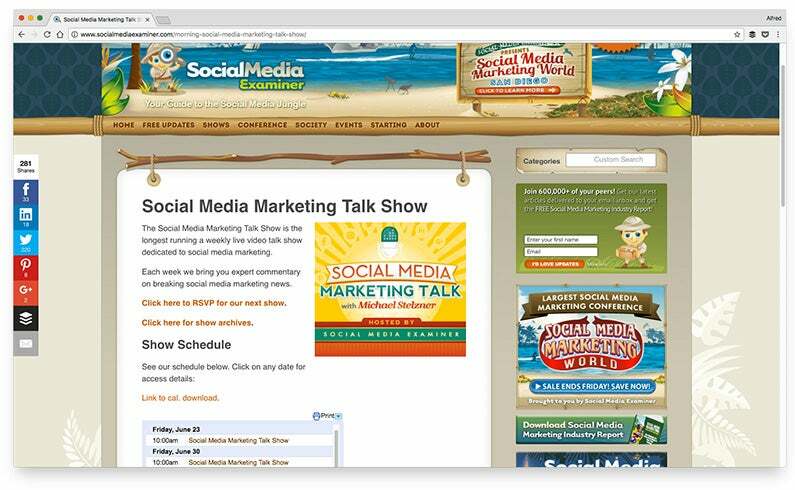 Jon Loomer: Jon Loomer writes about advanced Facebook marketing and advertising tips. 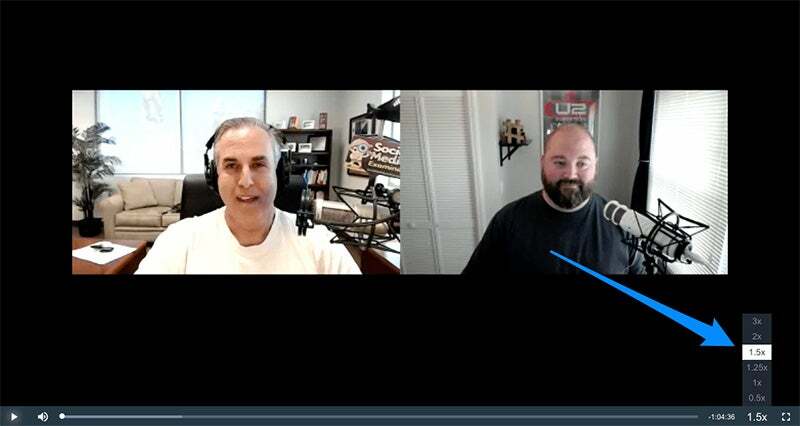 While his blog might not be a news site, he often shares how to use the latest Facebook ads features once the features are available to most people. Matt Navarra (@MattNavarra): Matt Navarra is the Director of Social Media for The Next Web, and he often tweets about new or beta features on the major social media platforms. Josh Constine (@JoshConstine): Josh Constine is the Editor-At-Large at TechCrunch where he writes in-depth analysis of social products and their new features and tweets about them. Jon Loomer (@jonloomer): Jon Loomer writes a blog for advanced Facebook marketers and regularly tweets Facebook and Instagram news. Ryan Hoover (@rrhoover): Ryan Hoover, as the Founder of Product Hunt, is always on top of new products and features. While he tweets about all sorts of products, he is a great source for new social media products or features. 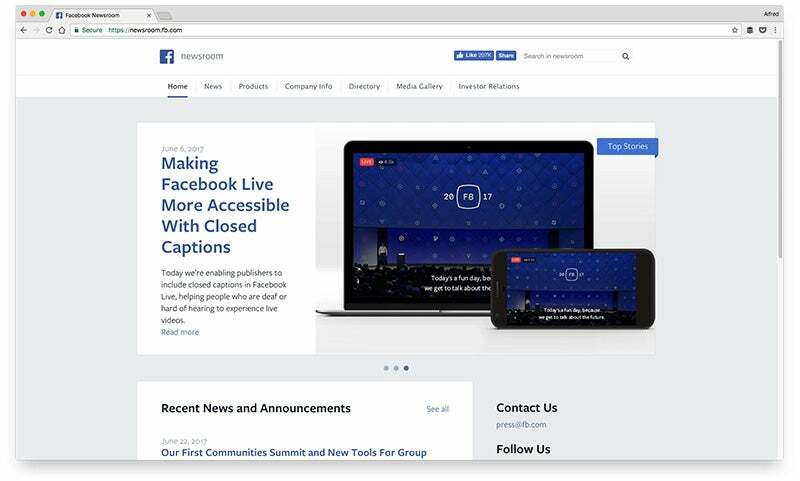 Mari Smith (Facebook Page): Mari Smith, perhaps the most well-known Facebook marketer, often gets early access to new Facebook features, which she shares with her fans. Official Twitter accounts of social media platforms (@facebook or its Facebook Page, @instagram or @instagramforbusiness on Instagram, @Snapchat, @pinterestforbiz and @LinkedIn): While all of them post a mix of news and tips, they are a great source for updates on their platform. Social Media Current: Social Media Current is daily (or weekly if you prefer) newsletter of the top social media news curated by a team of editors. TechCrunch Social Media Week In Review: This weekly newsletter is delivered every Sunday and contains the top seven to 10 social media stories of the week. SmartBrief on Social Business: Editors at SmartBrief go through thousands of publications and blogs every day to find the most important news. In this newsletter, they cover a range of social media marketing news, including a section on platform news. Nuzzel: Nuzzel is a unique newsletter. It scans through the things your friends shared on Facebook and Twitter and emails you the top three stories. 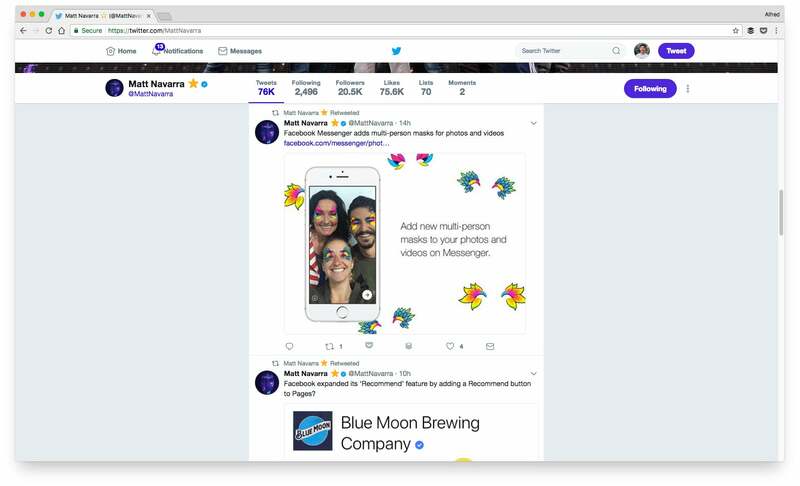 A hack we do is to create a fake Twitter account, follow just the accounts that we want to monitor (such as accounts in our Social Media News Twitter list), then connect Nuzzel to this account. This way Nuzzel will recommend stories only from those accounts. 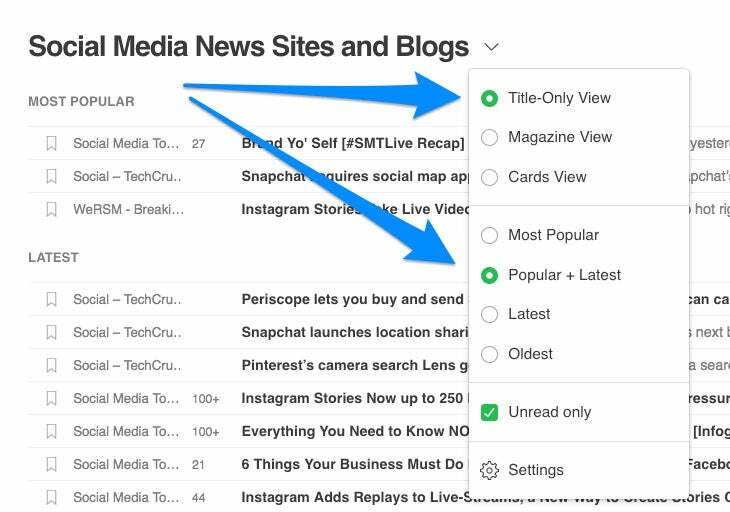 Top social media news from social media in your inbox! 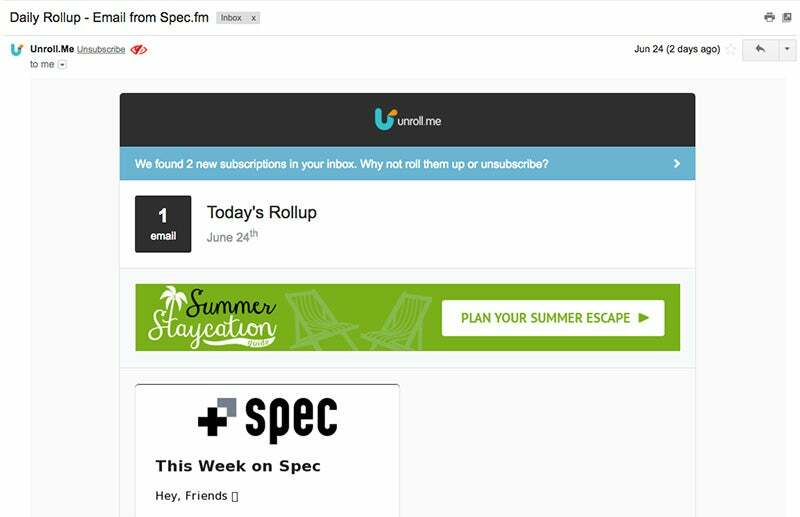 If you want to go a step further (and if you are comfortable with having your purchase data collected and used anonymously), Unroll.me is a free email tool that allows you to combine your favorite email subscriptions into a single daily digest. From my research, there don’t seem to be many social media podcasts or shows that mainly discuss the latest social media news.